An easy & affordable way to split your hearing solution investment. 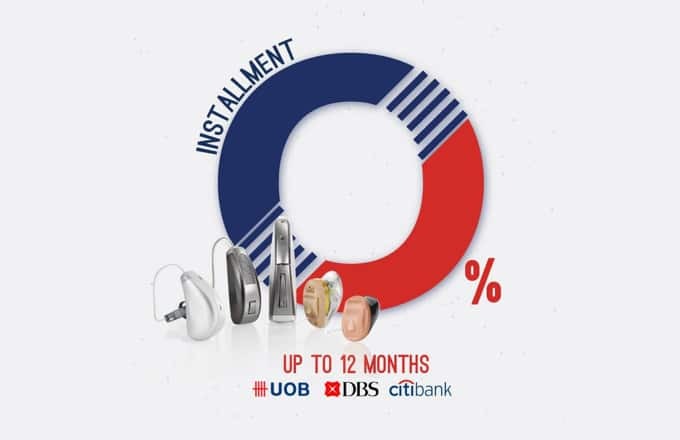 The Hearing Solution offers interest free instalment plans with your Citibank, UOB and DBS Master and Visa credit cards. You can now spread your payments into 12 monthly instalments. Just ask for the instalment plan upon payment of your hearing devices.